To commemorate the Sirhind victory of Baba Banda Singh Bahadur at the global level, the SGPC has not only planned to come out with gold and silver memorial coins but also decided to make a documentary on him. 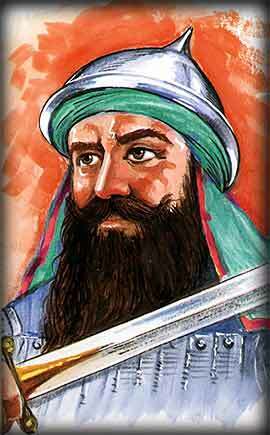 It was Banda Bahadur who had marched from Nanded and reached Sirhind to defeat the Mughal army in 1710. The SGPC has decided to celebrate his historic victory in the shape of “Fateh Divas” at Fatehgarh Sahib on May 12,13 and 14. A nagar kirtan has also been planned from Nanded to Chaparchidi. “Baba Banda Singh Bahadur had issued coins in the name of the Guru to show his reverence to the Almighty. We are going to issue gold and silver coins to commemorate his victory. To apprise the Sikhs of the valiant deeds of Baba Banda Bahadur, who was one of the most respected Sikh generals, we are also coming out with a documentary film on his life. The SGPC has already requested the Centre to issue postal stamps of denominations of Rs 5 and Rs 10 in memory of Baba Banda Bahadur,” said SGPC chief Avtar Singh.